Davy Jones help give The Monkees, a made-up group, real impact. Davy Jones helped create Monkees magic. Back in June at New York’s Beacon Theatre, The Monkees, sans Michael Nesmith, were nearing the end of a trippy jaunt down a winding memory lane, when the spotlight shined on Davy Jones, who, with a few softly sung notes, confirmed the enduring belief in a group that started as a daydream. “Oh, I could hide, beneath the wings, of the bluebird as she sings,” Jones sang. The opening strains of “Daydream Believer,” brought the crowd to its feet, spurring tears and teenage-like screams from countless middle-aged women transported back nearly 45 years to something that wasn’t quite Beatlemania, but an incredible simulation all its own. Jones, just a tad stout, looked for a few moments once again very much the boyish 20-year-old who was the cute one – and the English one – in the boy band that began as a TV knockoff of the Beatles, but became very different kind of phenomenon. His sudden death Wednesday at age 66 seems impossibly at odds with the vibrant performance he gave that night – one from a lifetime of shows by an entertainer destined to be remembered as forever young. Jones honed his abilities as a crowd pleaser from boyhood. He performed with the cast of “Oliver!” on “The Ed Sullivan Show” the same night as the Beatles made their live American TV debut in 1964. Within two years, he was teamed with Nesmith, Micky Dolenz and Peter Tork after passing auditions for a musical comedy show – a kind of TV version of “A Hard Day’s Night” built around a rock band that lived together and played together in a funky California house. Even with his modest frame, the onetime jockey stood out as the heartthrob with the sweet voice to match his looks. 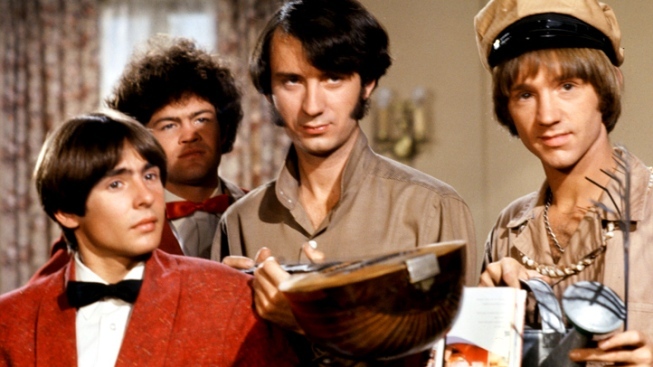 To their credit, The Monkees pushed back, and began writing their own songs and playing their own instruments as their fame exploded, seemingly out of control. Their final major project together, the 1968 movie “Head,” written by Bob Rafelson and Jack Nicholson, proved an image-breaking loopily surreal outing, which, in its occasional moments of clarity, made a statement on the pressures of instant celebrity. In the years to come, Jones would mellow and accept his place in showbiz history. His most famous post-Monkees moment, after all, came 40 years ago in a cameo on “The Brady Bunch.” There were occasional reunions over the last couple decades, usually without Nesmith. Jones, Tork and Dolenz would play their hits – along with a generous helping of the music they wrote – for original and latter-day fans, just as they did on that night at the Beacon during what would be their final tour. Give Jones and his band mates their due for going well beyond their start as hired Beatle stand-ins and creating a distinct joy as real as the sadness felt Wednesday by daydream believers everywhere.